On the Venn diagram of the New Weird, Victor Lavalle’s Big Machine sits round about where the circles of Michael Cisco and Neil Gaiman overlap those of Thomas Ligotti, Haruki Murakami and even, maybe, Stephen King. Perhaps. That’s not to say Lavalle doesn’t bring his own keg to the party (and New Weird is nothing if not a party), but readers whose boots are already used to the outlandish soil of Weird should find themselves treading relatively familiar ground here. Furthermore, Lavalle’s latent preoccupation with contemporary “issues” (addiction, terrorism, racism, religious hysteria, and the ennui of the modern workaday) offers a good way-in for readers more familiar with so-called Literary or Realist Fiction, to which Lavalle’s stylistic choices (first person narrative, uncannily poetic reminiscences of early childhood, constantly informative biographical sub clauses that’re kinda out-of-place and un-realistic in said first-person narrative etc.) also attest. Anyway, that’s quite enough over-worked metaphors for an opening paragraph; my point being: hurrah, we’re all invited. Not that you’d know it from the book’s design. I liked the non-representational blood red swirly cover art that functions as aesthetic call-back to the novel’s trippy(/druggy) themes and graphically violent content; but the hyperbolic endorsements from Mos Def and Vanity Fair, the utterly nonsensical (and non-applicable) blurby references to the X-Men and the wannabe-candid-but-is-in-fact-obviously-posed off-centre b&w author snapshot suggest a hipster target audience perhaps more shallow and transient than Big Machine deserves, which is a shame, because it’s a good book; rampant with a wry and self-aware wit so often lacking in Realist fiction, but also open to the supernatural vagaries, non-standard plotting and fearless engagement with unanswerable questions that’s such a hallmark of the Weird. Just try your best to ignore the embarrassingly fawning and cringeworthy author interview with which somebody’s deigned to chunk-out the back of the novel. In brief: Ricky Rice is an American, middle-aged, (almost)ex-junky janitor and recusant suicide cult survivor recruited by a band of interventionist clairvoyant detectives who’re able to tap into fate or determinism or something via an arduous process of reading newspaper clippings while searching their feelings. Bear with me, it’s not as naff as it sounds. The group’s M.O. is strikingly religious, with a visually cliché but nonetheless metaphorically loaded induction ceremony comprising a long walk through a darkened room towards the voice of the de facto leader. A twee if over-wrought creation myth combines with a quasi-messianic figure to create what is essentially a post-slavery spiritualism for black Americans. Ricky’s understandably weary caution in the face of this has origins in his past – played out through lengthy flash-back chapters (a highlight of the book) – ; he was born into a cult founded by his three aunts who re-appropriated Judeo-Christian mythologies and re-cast the major players as American forefathers. In both cases, the significant religious preoccupation is in propagating an expressly American piety distinct from the Old World origins of all the major religions and grounded in American history. If these groups offer moral sanctuary for those disenchanted with the alterity of the (for want of a better word) classic religions, it also exposes Lavalle’s philosophy of America as very much still a frontier nation – young and searching for itself – America as engaged in self-creation is a thematic interest reminiscent of Cormac McCarthy or even Philip Roth. 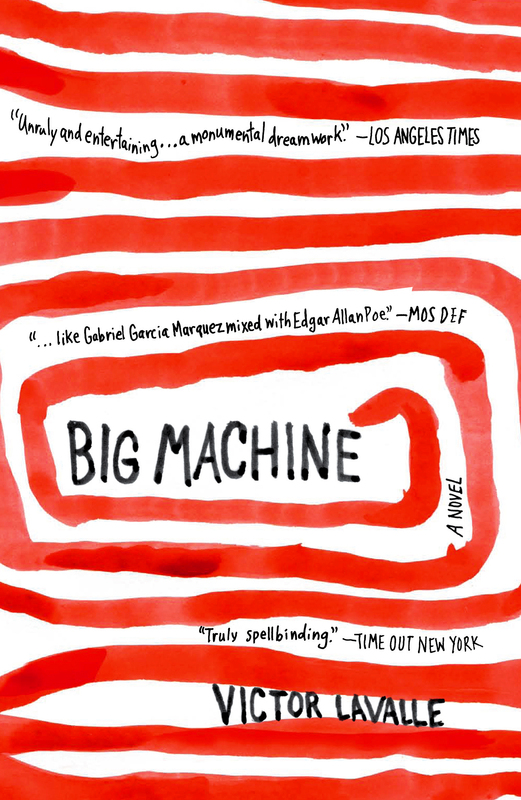 Far from being an out-right fantasy of religion or world-building experimentation, however, Big Machine’s primary focus is an Infinite Jest-esque exploration of addiction and its attendant losses and pain. As such, it’s down to the caprice of the individual reader whether or not encounters with dark angels, parasitic male pregnancy (a nice Alien reference?) and the intervention of the Voice of God are genuine real-world experiences, allegorically coded comments on everybody’s capacity to carry monsters within, or the hallucinatory externalisation of inner fantasies brought about by the mental strain of addiction or withdrawal or chronic loneliness or drug use or whatever. Unfortunately this has the disappointing effect of somewhat de-fanging both the novel’s supernatural elements and its more realist focus on American social issues. Of course it’d be foolish to suggest that one can’t sit comfortably with the other – but Big Machine’s myriad themes of religion, addiction, supernatural horror, poverty and race all kind of get in each others’ way. The supernatural aspects of the book lack any internal consistency or logic, to the extent that by page 300 there’s a definite feeling that anything goes – which is especially frustrating when random/unexplained magical elements arrive deus ex machina to resolve significant plot events (c.f. Murakami’s Kafka on the Shore). And while my readerly mores don’t demand constant closure and the satisfaction of a well-rounded explanation, the few-and-far-between moments of unexplained and phantasmagoric magic are too shallow to act as buffer or mitigator to the book’s more realist drug-related concerns. The suggested promise of supernatural cure-alls bathetically undermines any sense of threat or consequence latent in the seriousness of drug-taking or prostitution or terrorism. Victor Lavalle clearly has a beautiful cathedral of an imagination, and an obvious deep love of horror/fantasy/Weird fiction, but he’s holding back, perhaps lest he alienate that percentage of his potential audience who’re exclusively interested in Big Machine as an “issues” novel. It almost works, but too vague supernatural elements clash awkwardly with a heavy focus on contemporary Americana – which itself is often explored through long passages of expositional dialogue. It’s a question of balance; and if anybody’s going to write the Great American Weird novel, then it probably will be Victor Lavalle. Big Machine is almost there, but not quite; I’ll definitely queue up to buy his next novel, and look forward to the day when he really lets his imagination run riot. This entry was posted in Novels, Reviews and tagged Big Machine, Victor Lavalle. Bookmark the permalink. Not sure I will be reading the book, but that’s a great review! A nice review as ever, but one that makes me want to read his next book more than this one. Ricky Rice itself sounds like a comics reference – the alliteration (Bruce Banner, Peter Parker, Clark Kent). Interesting that it’s perhaps not quite weird enough. It’s that Mr In-Between territory which can be so unsatisfactory. Not quite realist, not quite surrealist. How fat a book is it? You mention by page 300, suggesting that if I read it I’ll have many pages more to go before I sleep. Thanks – I quite like ‘Ricky Rice’ as a name. I don’t have the book to hand, I’m afraid – but I think it’s just shy of 400 pages. Apparently it was an absolutely massive mega-hit in America, but has failed to make much of an impact at all in the Uk. It is quite US-centric though – maybe that’s why? If it weren’t for a recommendation from a local bookseller, I’d never have heard of it. Great review of a book that does look interesting (dreadful photo on the jacket: ‘I’m Spike Lee y’all but this is very much a Lavalle Joint. Word, peace out. Oh and I’m cooler than you, dude, but you’re getting there if you buy this and get in on the ground floor on the Lavalle show. Why wouldn’t you?’) but, as Max says, I may take your word at the next one being the one to get hold of. Would love to know what you made of…well, a lot of things, Tom, but certainly The Instructions. Hi Mr Monks – many thanks for your kind words. This’s the first review I’ve written in, like, a bagillion years – so I was a little unsure going in. His next book ‘The Devil in Silver’ is published in a few months’ time (the UK were well behind the states in getting ‘Big Machine’). I’ve not read The Instructions – this is going to sound incredibly childish and petulant of me, but… it’s just so BIG. I spent a lot of 2011 reading David Foster Wallace and Thomas Pynchon and Jonathan Franzen (not to mention a few of China Mieville’s earlier doorstops) – so I’m kinda off big books at the moment. In fact, anything longer than about 300 pages scares the bejeezus outta me. Plus, I don’t really have the balls to review enormous books like that. Not yet, anyway. Happy New Year! Thanks again for reading and commenting – it means a lot, really. Hi, many thanks: This was my first review in aaaaages, so I’m psyched that people seem to like it. 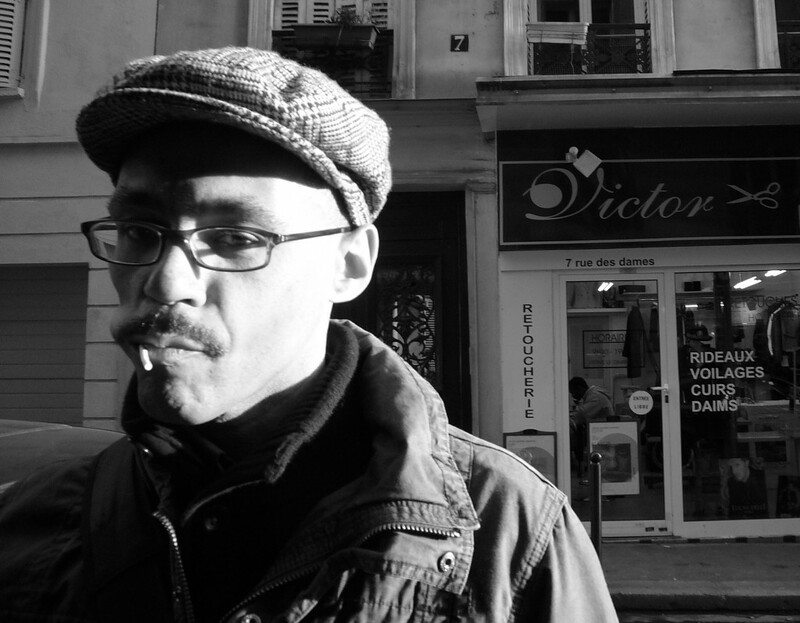 I agree that BM isn’t a MUST read – but you should def keep Victor Lavalle on your radar.